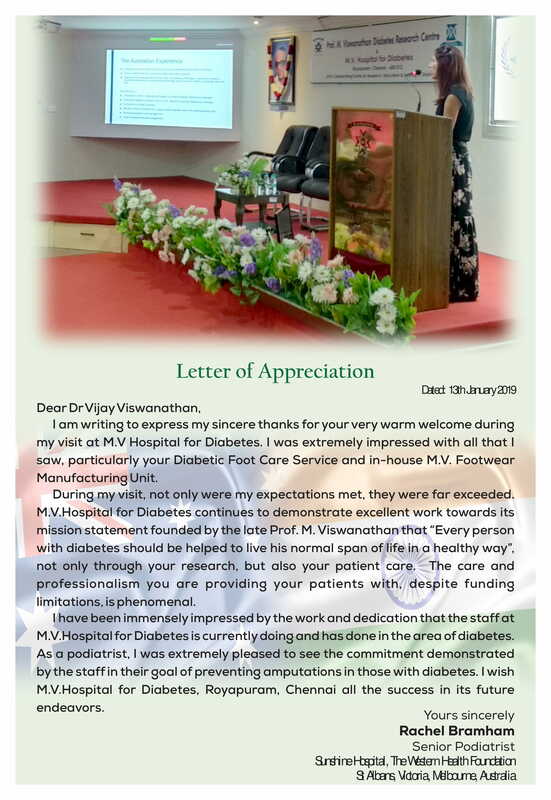 The M.V.Hospital for Diabetes conveys its gratitude to the President of India, Her Excellency Smt. Pratibha Devisingh Patil, for visiting here on 1st April 2007 and praised our work by leaving a message on the visitors note below. Rotary Club of Adyar Vocational Excellence Award.